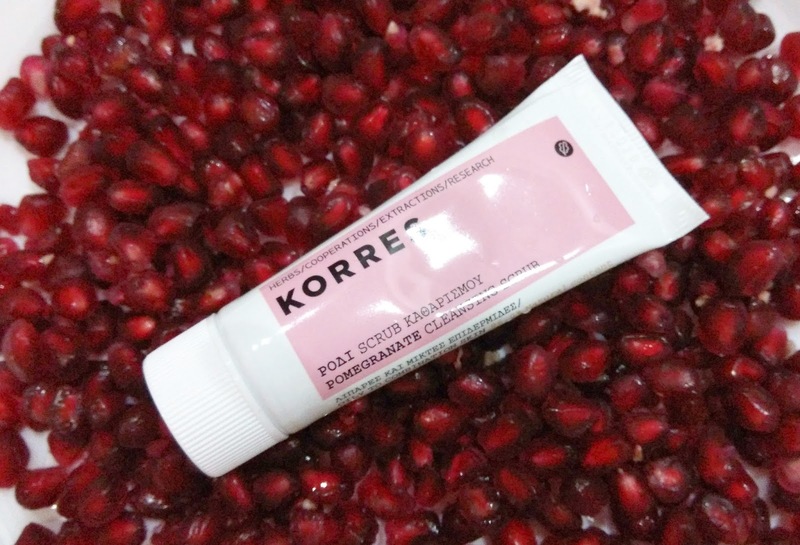 When I first unpack my package from Luxola, I was excited to find my Korres Pomegranate Cleansing Scrub inside. (I've probably repeated this a thousand times on my blog, I'm going to say it again.... I'm a big fan of Korres skincare.) I was also shocked at the same time. The size of the scrub is not even half of my palm. The size resembles deluxe size, but it is indeed the full size product. I went to try it out the same night I got it and the next day my face suffered from tiny break outs. I didn't notice that this scrub was the cause of my break outs. The next week, I use it and again my face developed break outs. 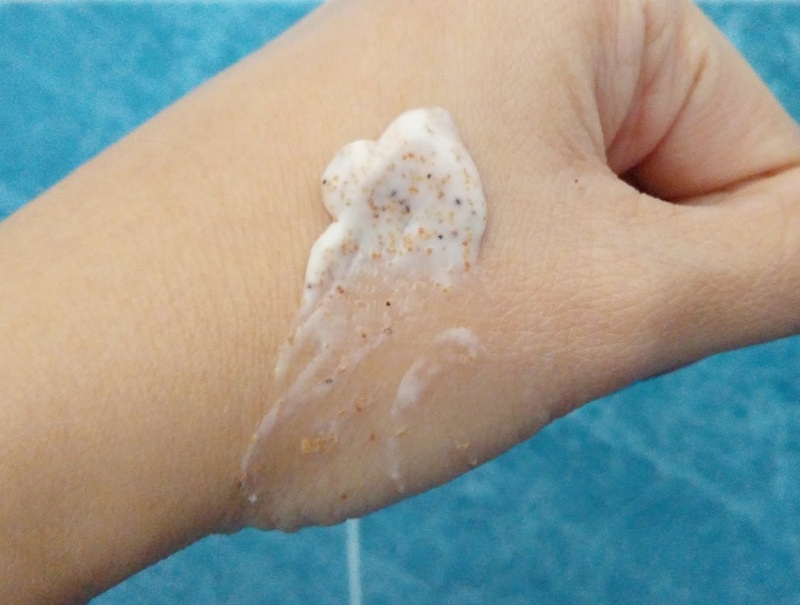 For awhile I was scared to use it until I ran out of facial scrub and try it on again. Soon I realized that the break out wasn't the effect of bad product but the scrub actually removes all the impurities from inside out. It takes awhile for me to understand this product. After I know it well, I realized this is THE THING! 1. The grains of the scrub is rough and the beads are bigger than other scrub. If you have open wounds, bad acne, bumps or laceration on your skin, it is best to avoid using it. 2. The scrub will bring out all the impurities that trapped underneath your pores. Some of it didn't make its way out of your pores, this is why break outs happen. It is best for you to perform extraction on your skin after using this scrub. Regular use of the scrub will prevent breakouts too. 3. This is not your daily scrub because of the harsh grains. Use it only on a weekly basis. I will recommend this scrub to those who have clogged pores - especially those with oily skin around the T-zone. It does an amazing job in cleansing and leaves your skin thoroughly cleansed. You can purchase this online from Luxola website for RM48. You can also view other people's review on the product from the product page before you decide to purchase it. It looks promising to me!